Brenda Colter is the owner of HER Beautiful Mind, founder of BeTheReason and the Vice President of SYLC Consulting. Brenda overcame the mistakes of her youth to climb the corporate ladder of a Fortune 500 company before deciding to follow God’s calling for her life. Today, she merges her role as an Emotional Wellness Enthusiast, author, mentor and motivational speaker with the Word of God by presenting it in a way that makes it clear and practical to others. Brenda’s mission is to show the world that no matter where you’ve come from, no matter how you’ve been burned, it’s always possible to rise up from the ashes and begin anew. Are you ready to #BeTheDriver of your own success? In these workshops series you will learn the practical process that is changing lives across the country. We will delve into Thought Awareness, Thought Analysis and Thought Management. You will learn to #TrainYourBrain with our exclusive STEER Model and how to put it into practice in your own life. This class also gives you access to our STEERing Committee who will help you navigate life’s detours, roadblocks and speed bumps. STEER 101 is the foundation of the SYLC Consulting program and usually costs $297 for the 4 module course. We are offering it to PY! members for only $97! Robin F David shares her three transformational secrets to living the fullness of your life on purpose today. She teaches practical steps to spiritual growth and emotional balance that are essential to a thriving inner relationship. Her proven method and guidance through self exploration and reflection will awaken your inner teacher; preparing you to receive the abounding rewards of joy and peace through the power of forgiveness and healing from the inside out. Robin F. David is a Speaker, Life Coach and Best-Selling Author. Robin is a contributing author of “Healthy, Abundant and Wise”, an anthology of discovering one’s innate power. She is the Head Facilitator of the Healing Gathering, a women’s circle Robin created in 2015. Robin is the Director of The Golden Foundation in loving memory of her son, with a mission to create stronger communities by helping families worldwide to have greater self-love and self-acceptance in their homes. Taking Care of Ourself is the Highest Honor and Importance in valuing “Who” and “What” we are. What are our Spiritual, Mental, Emotional & Physical Resources? External Resources in our everyday life. Internal Resources that last forever. We are more than worth it – We are life and love itself. Sharon Plaché is a creative and caring intuitive teacher, mentor, and healer. She has been in the Healing Arts since 1989. 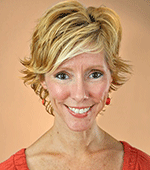 She is a practitioner, mentor, and teacher of ThetaHealing®, NLP, MER® and Innerwise®. Her retreat center in San Diego offers classes, trainings, aquatic bodywork, therapeutic massage, yoga, meditation, and more. She is grateful to be a practitioner for the Wave Academy, which offers support to Veterans with PTSD. She is passionate about empowering clients to discover, grow, and create in all areas of their lives. Her combined thirty-five years of education and varied life experience gives her compassion and commitment. Ready to do something new – something you’re really determined to accomplish….but feeling blocked? As an entrepreneur, business owner, successful business person, spouse or parent, are you frustrated and generally disappointed in your results sometimes? Or, are you feeling overwhelmed and confused about what to do next? It’s time to finally figure out what it is that’s blocking you – and most likely it’s fear. It’s time to find your mojo, step beyond your fears and live the balanced life you’re looking for by following a simple plan to take action against what’s holding you back in life. Are you looking for ways to market to your potential clients without wasting time and money? Are you feeling like no one is seeing the value of your services? Are you frustrated with the prospect of converting leads – who do seem interested – into paying clients? As unique as you and your Human Design chart are, you’ll probably be amazed to find that all the fears that you’re feeling are quite unique, too. You can with a marketing strategy that’s based on your own Human Design. Discover thereal purpose of fear and how you can use fear to your benefit! See how to easily create a plan to help you“step through” your fears – and lead you to more JOY in your life! So please join us for a webinar called, “What’s Holding You Back?”. Looking forward to sharing this information with you! She brings many years of corporate business and life experience to her Human Design coaching practice. A graduate of the University of Pennsylvania in Philadelphia, Karen has worked in New York and New Jersey in marketing and sales positions for more than 35 years. In each position, the companies grew and prospered exponentially. This combination of experiences ignited a desire to help others in their challenges, especially with regard to self-awareness and stress management. Karen has studied Human Design since 2009, and became a certified Human Design Specialist in 2010. Since then, she has spoken at dozens of holistic shows along the East Coast, running thousands of charts, and has satisfied her very logical self that Human Design is the best way to allow people to discover their purpose and their genius. 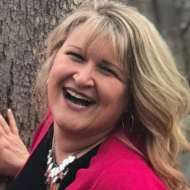 Karen is happy now to be helping entrepreneurs, coaches, small business owners and corporate managers find a new way of doing business in the 21st Century. Karen has been doing Human Design full time since moving to a small eclectic beach town – Flagler Beach, FL – in 2014, with her husband Jude, where they bike, swim, and kayak with the dolphins. Find the “Fears” in your Chart, What they Mean, and How to Step through Them on your way to JOY! (And make more money, deepen your relationships and take better care of yourself along the way!)! Are you ready to learn how to get past your fears …according to your own Type and strategy and your unique fears in the chart…so that it feels like second nature before long?? Do you know what’s holding you back from accomplishing the things in your life that you think you want? That you say you want? That you put into your goals for the year, or in your vision board or in your journal? Most likely, in some form or another, what’s holding you back is FEAR. And, Yes, they come in all shapes and sizes. With a Human Design session with me personally, we’ll chat for 30 minutes about you and the specific fears in your chart. Whether you’ve previously had a Human Design session or not, you’ll find this helpful, informative and perhaps even life-changing as you find out what makes you tick when it comes to these blocks! Please use this link to choose a time for this eye-opening session with Karen! Get On-PAR to live your best life. Anita developed the toolkit as a primary step on the journey to lifelong growth and personal development. The toolkit is a means of becoming who you aspire to by closely examining who you are. The central question is this: Are you On-PAR to cultivate change, nurture your vision and take action to live your best life in spite of the storms you encounter? And the storms will come and you must decide how to respond in a way that makes your life a great story. These six tools will help you along the way. Anita D Russell is your Change Cultivator. She is here to help you cultivate change through personal growth and development. 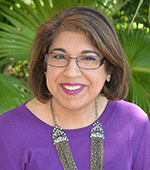 Anita is an Independent Certified Coach, Teacher, Trainer and Speaker with The John Maxwell Team. Born and raised in Pittsburgh PA, Anita’s fluid life spans multiple disciplines including pharmaceutical research, learning and development, community outreach and youth ministry. She is the founder and creator of The Place to SOAR LLC, a social enterprise that includes the SOAR Coaching Academy. A few years ago Anita discovered that she is also a writer. She has two anthologies under her belt and is currently working on a solo project. Empower Your Life, released in March 2018, presents twenty-one incredible women who have navigated their way through significant, sometimes life-altering transformations. Motherhood Dreams and Success, released in 2014, is filled with inspiration and wisdom from a diverse group of women from around the world. Her solo project, a spiritual memoir chronicling a journey of spiritual development, is slated to be released later this year. Along with the SOAR On-PAR Toolkit Overview is a special offer for the companion workbook. The overview is a quick look at the toolkit but the companion workbook provides full immersion with questions, activities and exercises to ponder. The workbook is available for direct download at the cost of $9.99. And I’m very pleased to offer 2 Free Gifts and you get to choose one or both! Find & Seal Your Personal Power Drains for Good! The meditations and exercises in this workshop are designed to be easy and accessible for the both beginner and experienced meditator. These practices are deeply rooted in ancient principles of energy anatomy and intuition development, and includes current models of the science and anatomy of how memory, time, and expectations are regulated in the mind. Shelley Poovey, B.S. Psych, AdvCBP, PaRama BP, RYT-200. Creator of The Radiant Human Meditation & Business Alchemy programs, and owner of BodyAttune, a center for self-healing and consciousness development in Manhattan. Her work explores the relationship between the archetypes of the psyche and the complex neural networks that regulate consciousness in the human body. She also hosts immersion programs focused on manifesting intentions for personal and professional development. These programs provide a unique opportunity to engage a balanced relationship between presence, embodiment, and transformation. Shelley has over twenty years experience in the esoteric & healing arts. She has had the privilege of learning directly from many incredibly gifted yogis, tantric scholars, taoist teachers, healers, visionaries, mystics, and shamans and is grateful for their presence in supporting her spiritual development, and for bringing their light to the world. Her background in math, computer science, consciousness, and philosophy gives her a strong foundation for appreciating the scientific and philosophical principles behind alchemy and manifestation practices. She is a guest expert on manifestation and alchemy for Healing Crystals, and is a contributing author in an anthology of stories on self healing, called Heal Thy Self. She is available for in-person or remote sessions. Each meditation connects you with your capacity to access and shift your beliefs, associations, subconscious patterns at an energetic level, creating lasting changes. These meditations can be repeated to increase the resilience and vitality of your business, and are great to practice during times where you are making major decisions or going through changes. In the second session, we reflect on the results and refine the intention if needed, bringing that into a shorter meditation with awareness of where we would like to further shift and increase results. If needed, Shelley will support your self healing through dialogue of where to focus, and highlight areas that support increasing your intuitive capacity while awakening your full manifesting potential. In the third session we further explore results and refine as needed, celebrating results and investing that back into the meditation practice. The cumulative result of these sessions is a deeper understanding of this empowering practice with tools to work with on your own. Six 90-minute personal sessions by phone or video. Includes all four business alchemy meditations with deeper explanations of what they do. Each session is a different consultation to explore your own healing potential and how to apply that to business and get results! Receive session notes and recordings within a day to begin practicing meditations, or exploring any alchemy items that came up for you. This program is a fun way to explore accountability and direct your business without feeling overwhelmed with ‘todo’ lists. In this teaching session, Tina will go over 3 of the 9 principles in her book “The Domino Effect: Fear vs. Faith” that assist in transitioning a mindset of fear into a mindset of faith. Having lived most of her life in a mindset of fear, Tina knows first hand how debilitating and excruciatingly painful this existence can be. Tina also discusses the many masks of fear and how to quickly identify a mindset of fear. Where is true happiness found? Are you in a fear based mindset? What causes us to adopt a mindset of fear? How can I move from a mindset of fear into a mindset of faith? 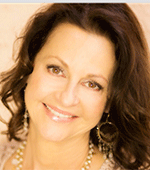 Tina Marx is a Certified Holistic Life Coach, Author and Motivational Speaker. She also holds a Master’s in Metaphysics and second year Science of Mind certification. Tina has been studying and practicing the teachings of Metaphysics, Spirituality and Eastern philosophies ardently for the past 25 years and has a broad base of knowledge and experience to draw from. Tina’s coaching provides personable and clear guidance for balancing, strengthening, re-framing and integrating the core foundation of one’s mind, body and spirit. Her process is in direct alignment with what it takes to be clear, powerful and purposeful in a world that is so identified with fear, distractions, uncertainties and overwhelming decisions. Tina has the innate ability to identify fear based obstacles that are blocking one’s path to success and to communicate it in an empathetic yet powerful manner. She is a single parent to her 13 year old son and a cancer survivor. The act of approaching aging as a journey of deepening wisdom, continued learning, expanding possibilities and renewed purpose. A process of self development that enhances interpersonal relationships, hones communication skills, and cultivates a valuation of Elders as mentors and wise counsel in community. The act of harvesting life’s wisdom as a legacy for future generations. Recognize dream squelchers, sunshine blockers, misery monsters and sometimes your own self pity as human anchors that drag you down. AND… Pauline’s challenge to you : Choose to be Amazingly You! (major in Journalism) and Teachers’ Certificate from Althouse College. elementary students by day and college students in the evening. winning speaker since 1978 she has developed skills to mentor speakers of all ages. After five years of competing she won the opportunity to speak on Parliament Hill in Canada’s capital of Ottawa in 1990.
and a Certified Life Coach assisting clients to build self confidence and develop leadership. “Out of Frenzy into Focus” a workbook . Community Work : Prayer Chaplain since 2012 , 2015 president of the Board for Unity of London, Breakfast program volunteer, International Story telling facilitator and co-coordinator with Creative Age in London, Communications Mentor for Women in Business. I help speakers to write phrases that matter to the ear, learn how to deliver personal , suitable stories , choose meaningful props and master vocal variety to maximize your message. In this session you will learn how to manage life’s everyday challenges as well as the inevitable curveballs, by changing our point of view, or our perspective. Frances B. Holinda, MBA-HCM, CPC is the Owner and Life /Personal Coach at Perspectives Personal Coaching. Prior to starting her own coaching business, Frances had a twenty five year career in medical billing and consulting as the Owner and President of Physicians Resource Network Inc. She now devotes her professional life to personal coaching and consulting. Certified through the International Coach Certification Academy (ICCA), Frances is a self-described “Perspectives Coach” helping clients “shift” their perspective to better manage life’s daily challenges and curveballs with greater ease and less stress. Frances coaches her clients to reach their goals, get “unstuck” and find purpose with her #perspectiveshift (recognize, refocus, rewire) approach. Additionally, Frances is a BBM Global Network radio talk-show host with a weekly show entitled #perspectiveshift, a VIP member of the NAPW, as well as a published author (Change Agents in High Heels). Frances holds a Master’s degree in Healthcare Management from the University of Phoenix as well as a Bachelor’s degree in Business Administration and Management from Monmouth University. PY! Learning Center Attendees – Purchase a package of 5 coaching sessions and save $25 off the regular price. As women continue to redefine success, there’s a powerful desire to make a big impact professionally and to change the rules about how we operate at work. Whether it’s finding work that truly fits you or upleveling your current business or career, you deserve to love what you do and create success on your own terms, without having to give up your life in the process. If you’re having challenges building your business or are attracting more victim-types than motivated potential clients; if you’re finding it hard to connect with your tribe or feel that the entire process is more drudgery than joy, it’s time to take a deep and honest look at who you are and how you’re leading. Most of us would rather be liked then risk exposing who we really are. We’re more in our heads than in our hearts. We want to be the one with the magic pill and promise things we can’t deliver. We’re often more concerned about clinching a client than making sure they get results. And we want everything NOW. Learn how to flip the magic switch so you can be who you are and do what you came here to do, powerfully and authentically. Through alignment with true essence, Lisa Winston, Authenticity & ReAlignment Coach, facilitates transformation in people’s personal lives and conscious businesses. She believes that building a solid inner foundation, which includes alignment with one’s core love essence and a deeper connection to one’s inner wisdom, as well as living from an unshakeable, unapologetic knowing and love of one’s self, is the way to a life of joy, purpose and prosperity. Thirty years of traumatic life experiences finally awakened her inner fire and propelled her into her life’s mission. She knows first-hand that everyone has access to the power within to rise above circumstances and thrive. She now has the honor and joy of assisting others along their journey back to Spirit and self, as well as aligning with their unique passion and purpose. Her Awaken Your Core Fire Programs are changing lives. Lisa is a best-selling author, teacher, artist, vocalist, mentor and mom. If you’re feeling a restlessness, urgency or just a feeling it’s time to do something, your Soul is calling you back to your-self. To become all you came here to be. That feels big and scary. First of all, you’re not sure what you want, why you want it or how in the world to even get started. Then, the strangely overwhelming and intangible fear creeps in, paralyzing you. Keeping you in confusion and holding you back. That’s where I come in (I LOVE this part)! It’s my greatest honor and joy to offer you a complimentary 30 – 45 minute Clarity call to go deep and get some answers. Through intuition and life experience, I will help you get clear on your what and why. You’ll also walk away with an easy, actionable next step. Book your call with me here. I look forward to sharing a beautiful and powerful heart-centered connection with you. If you’re a Powerful You! Member who is looking for a coach and you feel drawn to working with me, I’m offering a total of $1600 off of my year-long, private VIP coaching program through the month of June. That’s $100 per month off of my regular coaching fees and $400 off of your deposit. I’m in the process of taking my last few clients for the year, so if you feel a nudge or a knowing, please call me asap to book a qualifying call. You can schedule by clicking here. Double Your Confidence to Have Better Relationships, More Time, and Greater Success in Your Life. If you had a magic wand and could change one aspect of you life, what would that be? Would it be a relationship, your professional success, your level of self-confidence, or happiness in life? What if you already had the power to do that – not just in one area of your life but all the areas of your life? – Establish how to increase your level of self-confidence and empowerment to create your ideal emotional, physical, financial, and social life. Fueled by a desire to free herself from the limitations set for women by her culture, Sujata Uppal left her native country, India, at the age of 21 to pursue a Master’s Degree in Sociology. Sujata’s core belief is that we, as women, have an innate inner power that gives us the strength and fortitude to aspire to what we want and to stand up for ourselves and the causes that we care about. Sujata has spent her life educating, engaging, and empowering women to break past limitations and achieve their highest potential. She has been involved in many women’s organizations, led workshops on self-esteem, and mentored women in all stages of their lives to help them become their own best advocates – both personally and professionally. In addition to her Master’s in Sociology, Sujata holds three professional coaching certifications: Life Coach, Divorce Recovery Coach, and Singles Relationship Coach. After a difficult divorce that ended her twenty-five year marriage, Sujata launched Transition AIDE to bring Awareness, Insight, Direction, and Empowerment to women making changes in their lives, whether by chance or by choice. She specializes in guiding women to make empowering, strategic decisions during divorce, self-empowerment for women juggling multiple priorities, and personal leadership for all women who want to experience self-growth. – Figure out what is holding you back from the success you desire. – Figure out the CLEAR PATH to help get you from where you are to where you want to be. If you’re tired of sacrificing your time, your energy and your sanity in order to ‘have it all’, find out what you need to create personal and professional success the easy way. Courtney Parks, MA, CPCC is a Women’s Success Coach and mindset expert dedicated to helping women create success professionally without exhausting themselves personally. Through private coaching, group programs, workshops and speaking, Courtney has taught hundreds of women how to love their work and their lives by combining solid business and career development strategies with intuition, inspiration and personal growth. With a master’s degree in Counseling Psychology from Northwestern University and certification from the Coaches Training Institute, she supports women in creating lasting success both inside and out. Courtney’s signature 5-Step Passion Success & Balance Coaching Method helps high-achieving women to transform their work so they can make more and be more while still living a fabulous life. Her clients span from top notch coaches, consultants and creatives to c-suite executives and women on the rise in law, finance and journalism. Her philosophy and strategies help women to advance beyond their limits and she’s been fortunate to work with clients to double, triple and even quadruple their incomes while working less so they have time for themselves and their families. A living example of someone who ‘walks her talk,’ Courtney is equally passionate about her work, her relationships and her life. Work with me to create a plan you love for the next steps in your business, career and life…the easy way, of course! I’ve created a special offer just for my Powerful You! guests where you’ll save 50% off my regular rate when you purchase a 60 Minutes to Success coaching session. This is a one-time opportunity to coach with me and design a made-for-you plan for your next level of success – one that’s easy, effective and enjoyable – not just about more hard work. For 60 minutes, you’ll get my expertise, advice and support in making your work and life the BEST it can be. Your session includes a questionnaire to help you get clear on your focus, private coaching time to strategize your next steps and action and accountability so you can get in motion right away. If you’re ready for a whole new way to create success, I’d love to share this PY! special offer with you. To get all the details and purchase your 60 minutes to Success session, visit www.courtneyparks.com/powerfulyou now. Contact Courtney with questions at 847-217-2387 or courtney@courtneyparks.com. – How to keep from spiraling down when bad things happen. – How to stay positive and moving forward no matter what. – How to feel good in the midst of the muck. About Sue Urda: Sue Urda is your Feel Good Guidess. She is an Award-Winning and #1 Bestselling Author, Speaker, Inspirer, and Co-Founder of Powerful You! Women’s Network and Powerful You! Publishing. Sue is a two-time honoree on INC Magazine’s list of the 500 Fastest-Growing Private Companies. Having started 3 companies since 1989, Sue knows the challenges and joys businesses face, and she is committed to helping entrepreneurs and all women thrive, get connected, share their stories, and feel good. Sue loves assisting individuals in their own pursuit of success, purposeful-living and freedom, and her mission is to connect women to each other, their visions & themselves for true fulfillment. My two books are titled “Powerful Intentions Everyday Gratitude” Book I and Book II. Each book provides simple insights and inspiration, mindset molding, and vibration raising in the form of a daily reading. They assist individuals to set intentions, live on purpose, judge less, and enjoy life more. Join Sue Urda, your Feel Good Guidess, on a journey of transformation that will change your life — if you let it! This video series is based on Sue’s award-winning, Powerful Intentions ~ Everyday Gratitude. It’s a transformational book that sets you on a 100-day journey to the center of YOU! This book provides the tools for you to become the conscious creator of your life, instead of just being a passenger on the journey. *This series contains 100 videos that are approximately 4-7 minutes each. Watch them one each day or several at a time. Watch them in order or choose the topic that resonates with you on a particular day. As you watch and implement some of the practices and lessons you’ll see shifts in your mood, vibration, interactions, relationships, and all aspects of your life. FREE GIFT: Bonus Gift: 7-Day Transformational Video Series for a Life of Joy, Grace and Ease. With each day’s video, you’ll become more aware of the thoughts you are thinking, more conscious of what’s going on around you, and you’ll find it increasingly “ease-ire” to experience moments of joy, grace and ease as you move through your day. This is your 7-day jumpstart for feeling really, really good. B.A.N.K.™ is simple, quick and accurate. Based upon a recent published White Paper, B.A.N.K.™ is scientifically proven and can predict people’s decision making behavior. Once you understand what is important to who you are communicating with and what they value…you can dramatically increase your “closing rate” in everything you do! Gloria Cirulli is a Powerhouse Communicator! She can help you craft an attention grabbing elevator pitch with her ZIP Technique. And you will be motivated to take action with her “Take STEPS To Success” Process! As a Certified & Licensed Personality Assessment & Sales Trainer, Gloria offers the tools to sell to your customers the way they buy and train your team the way that motivates them. BANKCODE is a Personality Assessment & Sales Training Program focusing on increasing revenue, productivity and motivation. Gloria is also the two-time award winning Managing Director of eWomenNetwork Central NJ. As a connector, she is dedicated to bringing together entrepreneurs and professionals to share their expertise and support. 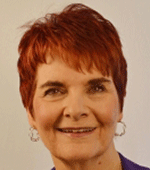 Gloria is a contributing author, in the book “BREAKTHROUGH RESULTS”…which will be published in mid-January 2016. Gloria lost over 100 pounds, 19 years ago and proudly raised two sons as a single mother. She has faced difficulties, yet stayed motivated to succeed! She is an engaging speaker and trainer! If you’re ready to “Communicate Your Way to Success”…you will want to connect with Gloria! BONUS OFFER: As a Certified & Licensed B.A.N.K.™ Trainer, I offer a variety of Training Programs. The in person Programs are: B.A.N.K. FUNDAMENTALS™, B.A.N.K. SPEED CODING™ and B.A.N.K. POWER SCRIPTING™. All are engaging, content filled workshops providing the tools you need to increase your sales, communication and negotiation skills. Bundling them together provides greater insight and preferred pricing. It is highly recommended to also subscribe to the on-line, home study course, B.A.N.K. PRO™ with access to B.A.N.K. PASS™. It is a great compliment to the in-person Training Programs as well. I am offering a $500 DISCOUNT off of each individual Program if purchased from me through this PY!LC Session. I will also offer an ADDITIONAL $500 DISCOUNT off of the TOTAL COST WHEN ALL of the PROGRAMS ARE PURCHASED AT ONE TIME from me through this PY!LC Session. All Program details are included in this presentation or contact me directly for information and mention PY! FREE GIFT:If you are ready to Communicate Your Way to Success…then go to www.mybankcode.com/GloriaC to Crack Your Personality Code and receive your COMPLIMENTARY report! The Energy Codes: Why Embodiment is Essential for Empowerment. We are multidimensional human beings; there is much more to us than meets the eye, even more to us than meets the mind. She teaches audiences to explore the far reaches of their own awareness through practices of self-healing, meditation and inner reflection through integrative breathwork. She brings science to the conversation of the heart. The objective is to access higher frequency energy patterns in our own systems for the purpose of realizing life purpose and defining life’s path with grace. For individuals ready to engage in transformation and healing, Dr. Sue’s Intentional Living Programs provide step by step instruction while establishing a strong foundation. >Dr. Sue Morter is an international authority on bridging Science, Spirit and Human Possibility. She is a master teacher of the BioEnergetic Synchronization Technique (B.E.S.T. ), a neuro-emotional clearing and healing process that addresses subconscious interferences within the mind, body, memory and spirit, and their influence on health and human performance. In addition to her private practice at Morter Institute & HealthCenter, a multi-doctor healing center she founded in 1987, today she speaks about living on the Front Side of the Model, where we no longer have to create what we don’t want in order to know what we do want. She has spoken at the TED Conference, Agape International, and Tony Robbin’s Trainer Support amongst many others. She shares wisdom from her studies in India, growing up in a quantum science conversation, and from her own personal experiences with Self Realization, Enlightenment and processes of Embodiment. Dr Sue can be seen in documentary films, internet television and radio interviews and live conferences worldwide. She is here to help bridge Science and Spirit and return us to our true power in life. Everything is energy – everything – and that includes what’s happening in your life and business right now. If you don’t like what’s happening, you’ve got to starting creating something new by working with the source of it – the quantum energy. By increasing your awareness in how to tap your hidden potential and understand the world around you in a new way, you can create dramatic new results. Quantum Leaping gives you the ability to compress time and to super-charge your efforts to a point SO big that you soar to your next best level quickly and easily. This will be a dynamic, engaging and powerful way to begin your Quantum Leap into what you really want! Lynn Scheurell is a visionary pioneer, spiritual teacher for entrepreneurs and authority in the area of conscious business. She is a leading proponent that entrepreneuring is one’s highest calling made manifest through service and that one’s business is the ultimate tool for personal growth. Internationally known for her empowering and inclusive approach to conscious business, Lynn teaches entrepreneurs how to identify, align and express their true nature at every stage in business to accelerate results. As she is ‘bi-lingual’ in speaking the language of spirit AND the language of business, she is able to translate and facilitate self-growth into faster and easier business growth. Changing the world starts by understanding your motivations, inspirations and purpose; in other words, changing the world starts within you. Only then can you apply your intensity through strategic business models, systems and focused action to create conscious, and often dramatic, results. Presented by Carol Walkner – Speaker, Reiki Practitioner, and Award Winning Poet. Right brained, left brained or somewhere in the middle? What are you? And, also important what are your clients, your friends, your family and those you would like to have a better relationship with? Why do you relate to some people and just don’t “get” others? Why can’t you communicate with your teenager? How might you be more successful in your business? Knowing someone’s brain dominance gives you vital clues to who they are and how you might better communicate with them, relate to them and have a deeper relationship with them – personally or on a business level. Armed with this information just makes life easier. Insights, experiential exercises and spontaneous writing prompts will form a guide for the all the people already in your life and the ones you want to attract. Carol Walkner has been a sales and marketing executive, writer and teacher for over 40 years. She is a trained and accomplished public speaker, workshop leader and group facilitator. As a right brained entrepreneur, Carol is a successful business owner, a Reiki practitioner and an expert at re-inventing herself. Her business articles have appeared regularly in trade journals since the 1980’s. She is an award winning poet and her poetry and stories have appeared in magazines, journals and online publications. Walkner has a journalism degree, a master’s degree in Expressive Arts Therapy and is certified by Women Writing for a Change to conduct writing circles. For the past 10 years, she has been facilitating grief writing circles, write to heal circles for hospice nurses and legacy circles for our wise elders to record their stories for their families. Carol is one of the authors in Empowering Transformations for Women and Women Living Consciously. Walkner’s book, Getting There…From Here, came out in August 2015. Using the experiential exercises within the book, she leads workshops and private guidance sessions for individuals, entrepreneurs and business people seeking growth and transformation. She is a good friend, nature lover, deeply caring, seriously fun and trustworthy person to know. Right now she divides her time between the Jersey Shore and Long Beach California where she spends time with her grandchildren. Complimentary (better than FREE but use either word) 45 minute consultation – either Reiki or reinvention coaching session – worth $75. If I do a coaching session with someone I will also send them one of my books – worth $27.95. Reiki is energy balancing, each person is very different. Coaching would be for people in transition, perplexed about their life’s direction to give them clarity, and vision to create the life they desire. I have action oriented, creative strategies to help people take their business to the next level. Always asking what else is possible! Substantial and lasting change does not have to be challenging – it can in fact be “A Short Path to Change”. Life can be easy and in flow and you can truly create the life you may have never even dared to dream of. Jenny’s book offers thirty simple tools to release limiting behaviors, patterns and beliefs. In addition, there are several easy tools that allow us to fall in love with ourselves, allowing us to recognize and utilize our unlimited potential. Jenny has used these tools to heal herself and as an alternative healing practitioner to heal others. She uses these tools to inspire others to create lasting change in every area of their lives. Jenny Mannion graduated from Penn State University with a BA in psychology and was always interested in how the mind worked and in helping others. She began her own transformation through healing herself of several chronic dis-eases in three weeks. Since healing, Jenny has become an alternative healing practitioner, mind/body mentor and inspires people to connect with their inner power to create the life they desire. Jenny has witnessed clients in her own practice heal from depression, cancer, MS and many other chronic dis-ease and come out not only healthy but creating a life they never dreamed of. It is Jenny’s passion to help others tap into their own inner powers to transform their lives. Jenny is originally from New York City and now lives in upstate New York with her two children. Gutsy Gals Guide to Confidence ~ Go From Best Kept Secret to Rock Star Status! Confident people have faith in themselves and their abilities, but when you lack confidence, you feel stuck and unable to obtain what you want for your life. Life becomes a series of ordeals to manage, and instead of moving forward, you feel like you are just getting by. Life is full of potential pitfalls, but with confidence, you can sail through these problems and come out on top every time. Roe is the creator of ‘Gutsy Gals Get More’ a global training &development company for service-based women professionals/entrepreneurs.Her programs have the unique ability to uplevel your mindset, unleash your brilliance,& create clear boundaries for increased productivity, profits and freedom in your business and life. She is a Money, Marketing & Soul Certified Coach with the International Women in Coaching, 2-time best-selling author, popular professional speaker, and successful entrepreneur who broke several glass ceilings for years as a top exec on Wall St—all while being married, raising children, taking care of herself and having fun. Having gone through a recent divorce and knowing what I went through during the 2 and half years of finalizing it, I thought it would be useful for me to tie in the emotional and physical aspects of stress during such a life changing event. I personally know from experience the amount of stress one can endure, especially if the situation is made more difficult that it needed to be. My goals are to provide you with insights on nutrition to support the physical body and also share some tools to enhance your emotional well-being during this overwhelming time of your life. While every one’s experience is different on how we deal with stress; it is useful to have someone else’s insights on what can be done to support oneself and not let the situation overpower us. Carole Franques has an extensive background in the food industry and has received several certifications to complement her B.S degree in management & marketing. Through her own personal challenges, she has become more intuitive which complements her energy healing work. She has the ability to empower and support her clients on a cellular level by letting go of emotions that inhibit one’s potential. She can also advise her clients through life changes, positive mindset as well as food awareness and she is in the process of being certified in Dream Builder Coaching™ which will give her the ability to serve her clients best by helping them remove identified blocks and guide them in creating the life they wish to live. She considers herself a student of life. She is Certified as a Practitioner of The Emotion Code©, a Holistic Health Coach, a Self-Esteem Elevation© Coach for children, a Practitioner of the Law of Attraction Wealth Program & an Angel Card Reader© from Doreen Virtue. Carole is bilingual in French and English and she works with children & adults. She does distance Emotional healing & the Japanese art form of Jin Shin Jyutsu self-help© in person. Everybody experiences moments of great glory and also those of utter despair. Oftentimes, we are uncertain about what we are going to do when we are hit with what appears to be a devastating situation and, moreover, we are not confident about how we are going to handle it.Â Some still manage to rise to the top; others never make it. And still others have fallen gracefully only to rise again, stronger and even more passionate about their career focus and dreams. Jennifer S. Wilkov will show you how to master the art of accomplishing anything in any situation, circumstance and condition. She’ll also share why you have the right to remain fabulous – no matter what you’ve endured, from workplace conflicts to health issues and from family crises to legal complaints. Break through the paralysis, make thoughtful decisions, keep your focus on what you want to achieve and leverage each moment as an opportunity to live your life to the fullest and make a difference. Jennifer offers a unique session called the Reset Your Mindset Session for those individuals who are looking for support, guidance and direction in times of personal and professional crisis. Clients have said time and again that working with Jennifer was the ticket to not only getting focused on what is important and keeping their self-esteem together in the face of adversity, but being able to go to work without crumbling from the stress and strain and/or managing others in their company who are dealing with crises while attempting to do their jobs with the same level of quality and enthusiasm. You will learn three major blocks that hold driven professionals back from achieving their desired success. By understanding these common and pervasive blocks, you will know what to do, what not to do and why. You will realize that you can (easily) release what is interfering or blocking you from reaching your goals and dreams in your life and career. Anne Deatly, PhD, is CEO and founder of E Quantum Breakthroughs. 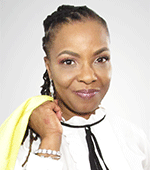 An author, inspirational speaker, and radio show host; she is known as The Radiance Doctor. With 21 years as a PhD Virologist, Anne uses her expertise in conjunction with Advanced Energy Medicine to shift the lives of corporate professionals, middle management, and C-level executives. By blending spirit, science and human potential, her clients breakthrough the corporate barriers experiencing quantum leaps to the next level in their careers. Anne knows that people can live and achieve at a higher potential- physically, mentally, psychologically, emotionally, spiritually and energetically. Dr. Anne empowers people to increase mental clarity, live revitalized and stress-free, and radiate joy. Using the methods she now practices, Dr. Anne skyrocketed her position and changed careers. She is now the go-to-authority for catapulting major career shifts in executive professionals. Selected as an original messengerin the Messenger Summits in San Diego, CA(2012),Anne shared the stage with Bo Eason, Neale Donald Walsh, Arielle Ford, and Sheevaun Moran. Dr. Anne is the author of Radiating Love and Joy, in Adventures in Manifesting-Passion and Purpose and Winds of Love and Joy, in No Mistakes- How You Can Change Adversity into Abundance. Your energy frequency matters! Dr. Anne offers this session to facilitate the discovery of what people really want in their career/business goals, relationships, health and wealth. Focusing on where they are now and where they want to be opens up the possibility to expand to one’s specific STAR potential. The magic happens when the client breakthroughs energetic barriers in the body. This 60 minute game-changing Enlightening Energy Assessment is a new paradigm for growth, expansion and attraction. Change your energy and change your life! Are you successful in every area of your life but feel unlucky in love? Are you wondering if it is possible to have a great love and career at the same time? What if I told you that having the ideal relationship will help you catapult your career to the next level? What if by putting boys before business you were guaranteed to start having it all? If you truly are ready to have a relationship and career that rocks, then you have to start with the first steps. You have nothing to lose and everything to gain. It is your time to have it all. Kim grew up in the San Francisco Bay area. After graduating with a BA in Radio/TV and journalism from the University of Arizona, Kim spent over 15 years in the magazine publishing industry. She has published several articles and was Publisher of “The Arizona Home Book”. After leaving the corporate publishing environment, Kim became self-employed by joining Arbonne International. 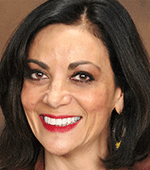 She quickly rose to the top of Arbonne International and became a National Vice President. Kim spends much of her time coaching, training and speaking. She is a certified Leadership Coach and coaches business entrepreneurs. Six days after applying the first steps outlined in Boys Before Business, she met her husband. Together they opened a business, Bike Dojo to promote kids exercising. They live in Santa Cruz, CA, and have a home in Arizona. We’ve created an exclusive private Facebook page for everyone taking the 26-week program and you’re invited! This group is here to support you and hold you accountable. Get ready to feel like one of the girls. You can check in, share your stories, your wins, your struggles and what amazing things are happening for you. You will have all the encouragement you need to stay on track. Presented by Debra Graugnard, M.Div. Darn it! There it goes again! Every time I get close to reaching my goals, something comes along and knocks my feet out from under me. I can’t seem to get beyond that certain point. Maybe I’m just not meant to have what I want. Maybe I should just be content as I am. But who is he really and why is he after you? Join me for this hour of education and experiential exercise and discover 3 Steps to Disarm the Subconscious Saboteur & Regain Control of Your Life. You are meant to have a life of love, fulfillment and success! Join me to embrace your Subconscious Saboteur and Realize the Life You’ve been Waiting For! I help people with digestive dysfunction and eating challenges heal the stress, emotions and underlying factors that affect, and in some cases, cause their discomforts and dis-ease. About 26 years ago, I was struggling with hypoglycemia, fibrocystic disease and ulcerative colitis. I healed them all with a natural holistic approach including adopting a clean diet, cleansing and spiritual healing. Now I help others to do the same. My transformational programs and services have helped many men, women and children who were struggling with health, weight and body image challenges develop a relationship with food that supports a healthy body, mind, heart and spirit. My unique approach addresses the entire being – physical, mental, emotional, energetic and spiritual bodies – for complete healing and true personal transformation that lasts. Presented by Regina St Clare, Ph.D. The flip phone version of your PGS4 or 5 will not keep you in the loop of the New Normal. You will miss out on the full advantage of living wisely in the growing momentum of uncertainty and miss the opportunity to have the clarity and coherence regarding your true purpose; maintaining health and wellness; managing resources—time, money and energy; and most of all, sustaining loving and productive relationships that are aligned with your True Purpose. Regina St Clare Ph.D, Innovative Author and Speaker, begins her three careers as a Broadway performer and regional theatre actor and Dansarts School Director; switches to university professor in education and psychology with peer reviewed Excellent Rated research in the CORE PALS Learning Process: Uni-Ed Curriculum; and due to a spiritual awakening, launches a 30 year independent research project producing the innovative, PGS One True Voice Streaming, in 2014. Through her world travels and scholarly study she brings together the ageless wisdom through an innovative psycho-technology designed for launching the new normal as the-go-to-place for personal transformation facilitator training. She becomes a versatile Mac/Apple user at age 75 and with her partner Frank Funicelli, co-creates the We Love Ping Pong game designed to make your partner a better player. Regina and Frank remain undefeated, because they have not yet found any one who wants to make their partner a better player. ABCs of Financial Fulfillment How to Find Hidden Dollars, Pay Yourself First and Help Take the Fear out of Finances! In this ABCs of Financial Fulfillment you will learn to master your finances by A-Analyzing your current situation, B- Budget back to basics and Finding hidden Dollars and C-Committing to Paying Yourself first and look forward to your future of financial security. This workshop is what you have been waiting for to take you step by step to reclaim control of your finances and feel empowered about your future. The tips in this workshop can be applied immediately and easily with the tools that are provided. Diane Metivier is on a mission to inspire and empower women and children financially by creating wealth through education and guidance, seeking to provide them with the financial security and the freedom that comes with it. She provides the most personal service available, and strives for a reputation of excellence in her industry. Diane is a seasoned professional, with over 15 years of experience, whose practice is based upon a “hands on” approach to financial guidance. As a Financial Professional, she does everything in her power to keep her clients focused on where they want to go, how they will get there, and continually reminds them of the importance of maintaining a disciplined approach to realizing their dreams. Diane is licensed in NJ, PA, NY and WA. She holds licensing in both Life and Health Insurance and works with life insurance, savings and investments, education funding, retirement, rollovers, Long term care, annuities, disability insurance, business planning, estate planning and group benefits and retirement plans for businesses.